What happens when you get a father who is deeply patriotic and is put into a situation where he needs to make a choice to save either his daughter or the President? 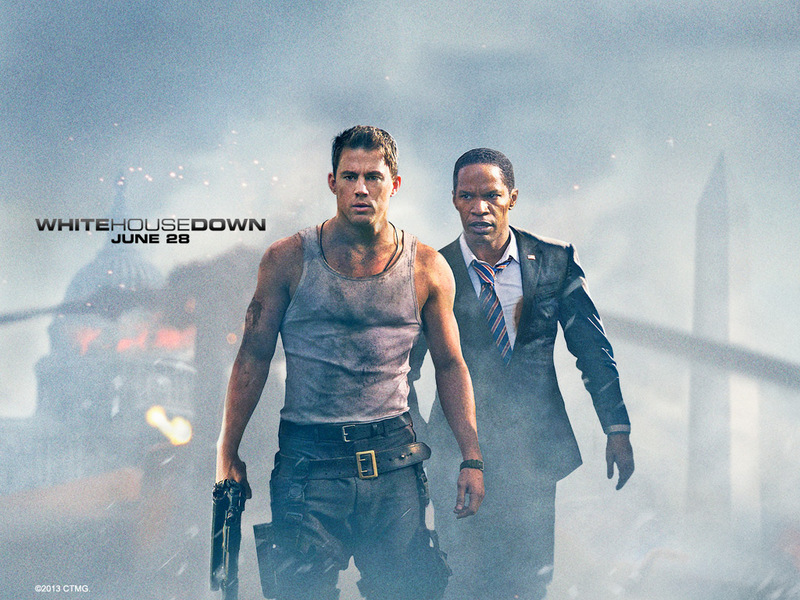 Well, if it’s an action film with Channing Tatum, it involves a dirty white singlet, a lot of shooting and explosions and ultimate victory for the good guys. (I don’t think that’s a spoiler, given it is a Hollywood blockbuster action film). So, Cale (Channing Tatum) is a divorced ex-solider with a really awesome daughter, Emily (Joey King) who is obsessed with everything politics and related to The White House. He has applied for a position as part of the protection detail of President Sawyer (Jamie Foxx) and takes Emily to the White House for the interview. However, his interviewer, Finnerty (Maggie Gyllenhaal), who he went to school with, rejects him for the position, as he is unreliable and hotheaded. But then things go crazy; the White House is taken over by terrorists and no one knows who to trust. Cale is in a position to try to rescue Sawyer, but then he needs to get to his daughter, and things are getting crazy. This is a good action flick with all the stuff you want and need, some decent twists, a top cast and even a few unexpected bits. You want fun action stuff? Get this.